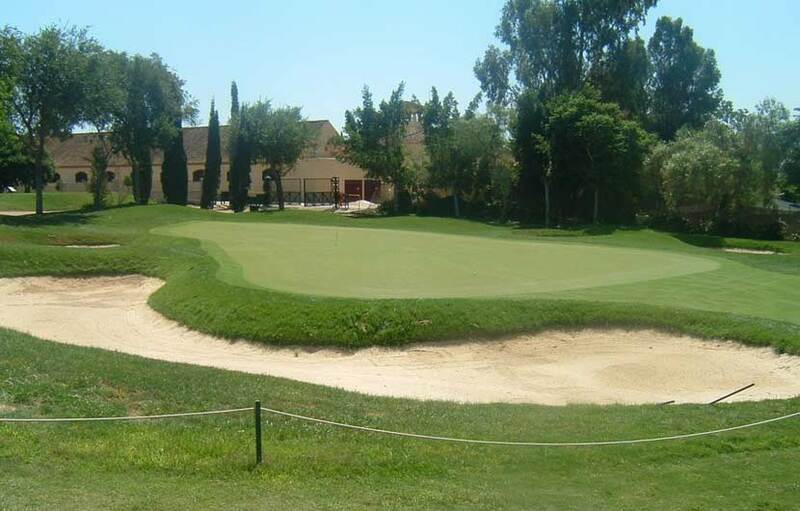 Enjoy golf holidays on the Costa del Sol playing at the Guadalhorce Golf Club. This family run course offers extensive quality facilities not only for golfers but for visiting family members who may wish to chill out by the pool, play tennis or enjoy a sauna. 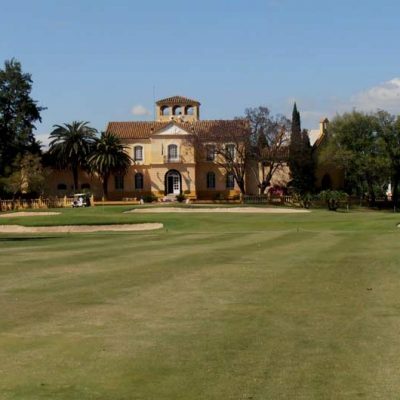 Guadalhorce golf is a mix of hilly and parkland areas which makes the course both fairly easy and challenging at the same time. 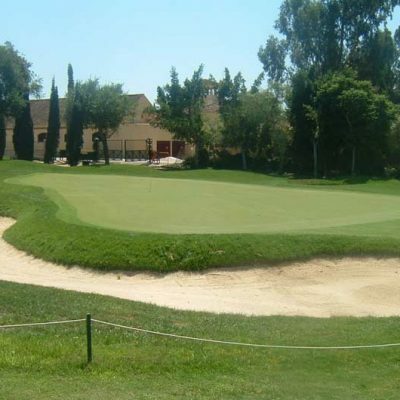 If you enjoy playing flatter courses then Guadalhorce golf is the place for you and makes a pleasant change to the more challenging hillier golf courses on the Costa del Sol. The fairways are wide and quite easy to find and the undulating greens make putting as complicated or as much fun as you care to make it. 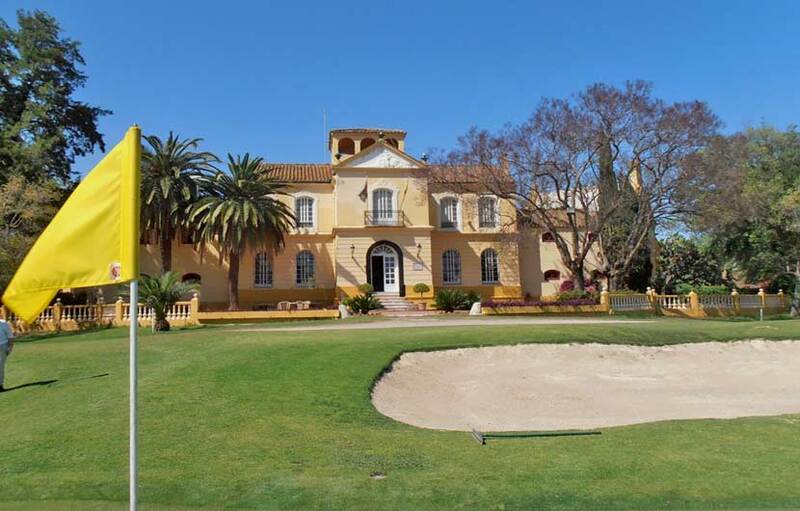 The club house area is quite beautiful and reminded me of the old colonial mansions and bodegas of Jerez. 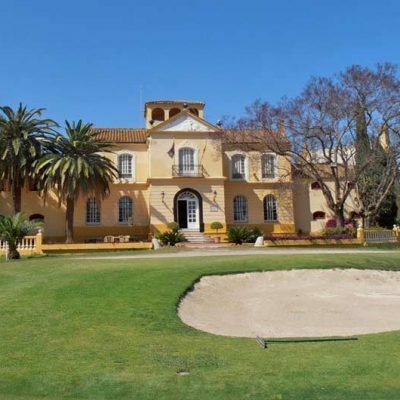 This golf resort is well established and the abundance of many kinds of old well established trees including some very tall date palms and shrubs makes the whole course very picturesque. 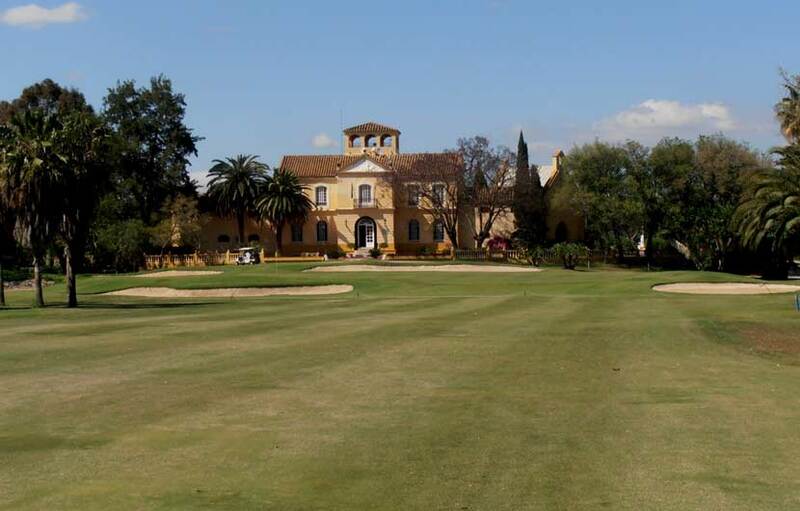 There are a few negatives to playing Guadalhorce golf which are well worth a mention. The course is located close to the end of the main runway leading into Malaga airport and depending on what day you play the noise from the many aircraft landing and taking off can be off putting if not spectacular.